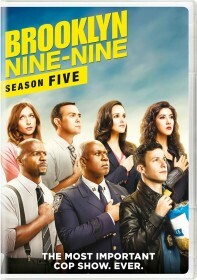 FOX has released the press release for the May 3 episode of Brooklyn Nine-Nine, "Det. Dave Majors". Garret Dillahunt (Raising Hope) guest stars as the titular detective. Jake is excited to work a case with the best detective in the NYPD, Detective Dave Majors (guest star Garret Dillahunt), until Majors shares his intention to ask Amy out on a date. Meanwhile, Charles and Gina try to convince Terry to stay at the Nine-Nine when he considers accepting an offer to work at a private security firm in the all-new "Det. Dave Majors" episode of BROOKLYN NINE-NINE airing Sunday, May 3 (8:30-9:00 PM ET/PT) on FOX.